THOMPSON, Conn. — Words can’t describe the emotion that flowed through victory lane following Sunday’s NASCAR Whelen Modified Tour Icebreaker 150 at Thompson Speedway Motorsports Park. Rowan Pennink — who hadn’t scored a series win since the World Series at Thompson in 2013 — took the hard left hand turn and slammed on the gas with excitement pulling into Thompson’s victory circle after a hard-fought win in the prestigious Icebreaker. For the 31 year old from Huntingdon Valley, Pa., it was a win that showed that he can still get the job done after multiple years struggling to return to the top of the series. But for the team, it was a win that has been a long time in the making. Boehler Racing Enterprises has been competing on the NASCAR Whelen Modified Tour for triple the time that I have been alive. They have won plenty of races and plenty of championships in their time on NASCAR’s oldest touring series, but none of it came recently. Many of those race wins and titles came more than two decades ago, with names like Bugsy Stevens and Tony Hirschman behind the wheel. Since then, the team has struggled to keep the car at the front of the field for much of the last decade. They have switched drivers plenty of times, trying to find someone that could wheel the car back to the top of the sport — and yet nothing has really come of their efforts. 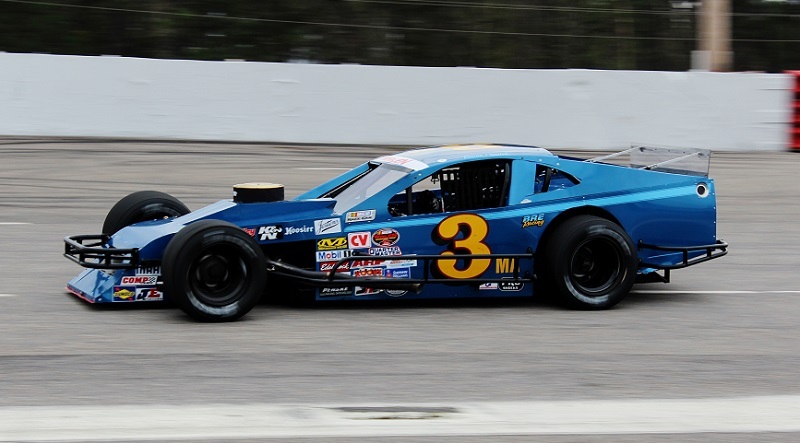 The last points win for the car before Sunday’s Icebreaker came in 2009 at Stafford with Ryan Preece behind the wheel. Other than that, Ted Christopher wheeled the car to a win in a non-points event in 2012. At the start of last year, Pennink teamed with Mike Boehler and the gang in hopes of making a run at the championship. Although he only collected two top five finishes behind the wheel of the iconic No. 3 machine, Pennink still was a contender at some of the events in 2016 and had a car good enough to win a few of them. Going into this season — the 60th for the team as part of the series — Pennink was riding a wave of confidence into the season-opener at Myrtle Beach Speedway. A new track for the series, combined with the updated car that BRE Racing put on the track, meant that Pennink was one of the toughest drivers to compete against at the half-mile oval. He led 38 laps at Myrtle Beach and at one point, looked as though he was going to be the car to beat going down the stretch. However, it wasn’t the case. A few late cautions and some pit strategy relegated Pennink to a seventh place finish, but it still was a solid start for a team hoping to collect points and run for the title. Let’s hope it’s not a fluke.I go back to the days when Bugs and Old Blue dominated the modified Div.